Twill is a an attractive and durable type of textile weave. It is easily identifiable by its pattern of diagonal parallel ribs. A twill weave is altered in each row (over one yarn and under two or three yarns), producing this conspicuous line pattern. This pattern is called a wale. is durable. Twill is stronger than plain weaves. 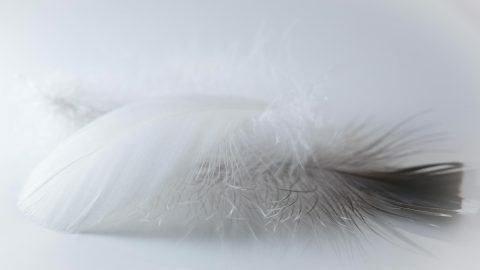 is soft enough to be used in all types of clothing. drapes well. Twill fabric hangs freely, resisting creases and wrinkles. resists soiling thanks to its irregular surface texture and tight weave. is versatile; twill fabrics are woven with all types of thread including wool, polyester and cotton. Unlike fabric with a plain weave, twill fabric has two sides. The front, or technical face of twill has the most obvious pattern. This side is generally both more durable and attractive than the technical back. It is used as the visible side of the product being created. Twill fabric has fewer interlacing threads than other weave types. This results in a softer, more malleable fabric. It also means that more threads can be packed in for high-count fabrics that are extremely durable and even water resistant. more expensive to produce than plain weaves. more difficult to design and produce with due to technical front and back. prone to twisting and improper hang after being laundered. Because twill weaves have such an interesting texture, printed twills are uncommon. Foulard, however, is an exception. It is a lightweight silk or cotton twill fabric printed with colorful designs. Also known as syrah, it is thought to have its orgins in the Far East. Foulard’s name is derived from the french word for scarf or neckerchief. Traditional foulard uses a twill weave, but plain weave foulard is also obtainable. Also called broken twill weave, herringbone describes the V-shaped pattern evident in this type of twill weave. It is named for its resemblance to the skeleton of a herring fish. Herringbone patterned clothing is subtle and attractive. Woven wool herringbone is very popular for use in suits and outerwear. Houndstooth is a duotone twill weave characterized by its pattern of four-pointed rectangular shapes. It is most recognizable in the popular checkered black and white variety shown here. Serge is unique; it has distinct diagonal lines or ridges on both the technical front and back sides. Serge uses a with a two-up, two-down weave. It is frequently used in military uniforms. Another variety, called silk serge is woven with silk and is used for garment linings. Traditionally, sharkskin fabric is created with the use of acetate. It has a distinct two-tone appearance that almost shines. Depending on the viewing angle of the fabric’s surface, you can see contrasting light and dark tones that resemble a shark’s skin. Covert found initial popularity during the late 19th century in horse-riding clothing. It provides effective wind and water resistance thanks to its density. Covert is usually woven with two colors which gives it a flecked appearance. Originally almost all covert fabric was woven using tightly spin wool or wool-silk blends, but today some wool-cotton blends are manufactured. Everyone is intimately familiar with good old durable and comfortable cotton denim! The most common denim is called indigo demin, which uses a dyed warp thread in conjunction with white weft threads. This gives denim its familiar appearance. It also causes it to fade as it does; the weft thread’s dye fades which blends in with the white warp threads. The most common use of drill is “khaki drill,” which is a green color instead of the light brown associated with traditional khaki. Drill’s durability and resistance to rain and wind made it useful for products like boat sails, tents and tarps. Synthetic fabrics have largely supplanted drill for these applications. It remains popular for use in both uniforms and casual dress. A fancy twill weave can have endless variations. A twill becomes “fancy” by incorporating a unique geometric motif. This is done by inserting another weave onto the blank squares of the twill’s diagonal pattern. Gabardine was invented and patented in 1888 by Thomas Burberry. Traditionally produced with wool, gabardine has a pronounced diagonal ribbed technical face, and a smooth back. It is often used to line pockets, where a smooth and very durable fabric is required to prevent holes. Cavalry twill is named as such due to its frequent use in riding pants for cavalry uniforms. Its appearance is easily recognized by its obvious double twill ribs. It is still used for riding pants and also ski pants, sportswear, pants and coats of all kinds. As its name suggests, lining twill is used to line the inside of clothing. Often woven with silk, it is lightweight, smooth, shiny and attractive. Lining twill is water-resistant and shrink-resistant. It can also be easily printed upon. 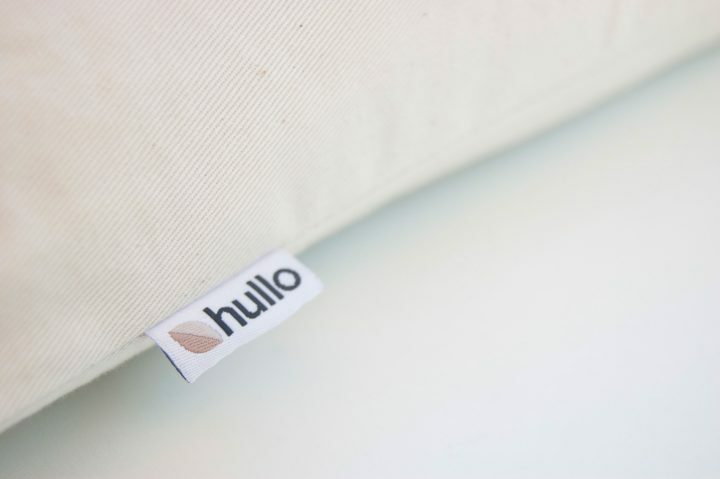 Twill fabric is durable, soft, breathable and pliable making it a great choice for Hullo. What makes us so passionate about twill fabrics? Many years ago, a friend recommended a buckwheat pillow, something I’d never heard of. After a few nights of confused sleep, I got used to it. I loved it! Soon afterwards I decided to try to manufacture and sell them myself. I experimented with many different designs. I tried different zippers, different stitching, and of course lots of different fabric types. Finally I settled on a 7 oz. per yard organic cotton twill in a “natural” white. Durable. 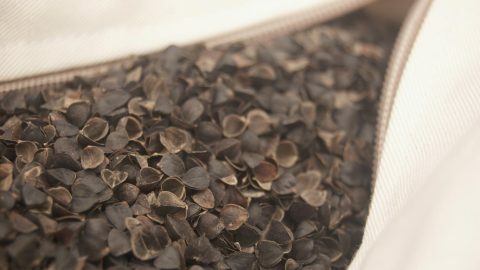 Buckwheat hulls, being quite heavy (10 lb. 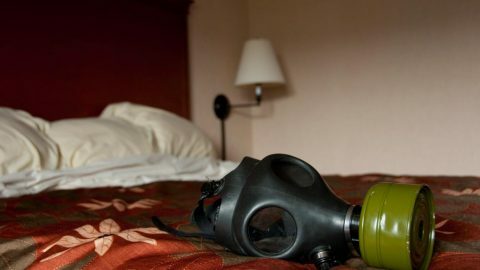 in a standard 20×26″ bed pillow), require a strong fabric case to contain them. We’ve sold thousands of pillows and the twill fabric has yet to fail. Soft. Cotton with a twill weave is very soft. The fabric glides smoothly across skin and bedding alike. Breathable. Cotton is breathable and prevents uncomfortable warm air from building up inside your pillow. Attractive. That unmistakable and familiar diagonal pattern looks luxurious and ready to sit on anyone’s bed! 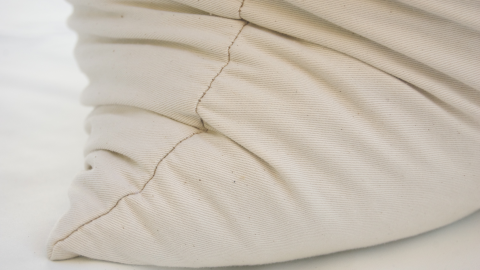 A firm buckwheat pillow wrapped with organic twill can help you get better rest.